In recent years, it has become clear that education is one of the primary means out of a life of poverty. So, the accessibility of higher education has grown ever more imperative to those seeking enhanced socio-economic mobility. But, what is the cost of going to a for-profit school versus a traditional four-year degree nonprofit university? I’ll start by saying that the title of this piece is posed as a question even though I have already formed an opinion of the subject-matter. But, I wanted to perform some unbiased analyses in written form to see if I arrived at the same conclusion I came in with. So what are for-profit schools? They are typically the ones you see on late night commercial breaks. They urge you to call a number at the bottom of the screen to learn about a degree in technical services, administration, or some other general field and they almost always emphasize that they are “convenient,” “short programs,” and “affordable.” They are the University of Phoenix, Westwood, Devry, Everest, ITT, Ashford and Capella colleges and “universities”. There are some others but these typically have the most name and brand recognition. These, often online or multiple campus-based, schools branched out of what used to be termed “trade school.” Years ago, one would attend a program after high school for six to eighteen months with the hopes of gaining valuable career-centered skills in order to secure a well-paying job. But, in the last decade or so, these trade schools have grown in scope covering more general programs targeted at folks who cannot necessarily afford to go to a four-year university or who didn’t have the grades in high school to get into the top-tier schools of their choosing. For-profit schools typically award two-year associate’s level degrees or other specialized diplomas while traditional colleges and universities start at the four-year degree level. What Makes For-Profit Schools so Different? In my research, I have found that the major difference between traditional nonprofit schools and for-profit schools is accreditation. In most cases, for-profit schools have national accreditation as opposed to national AND local accreditation. There is a subtle difference there but a very important difference nonetheless. National accrediting agencies, like the Accrediting Council for Independent Colleges and Schools (ACICS), often work like a group effort. Faculty and directors for the very schools seeking accreditation can be members of the Board of Directors or become evaluators themselves. This presents an uncomfortable conflict of interest for these schools seeking to cement their legitimacy as stand-alone institutions. Traditional colleges and universities are often accredited by local (regional), non-biased bodies whose focus is on smaller regions and fewer schools. For this reason, they are able to scrutinize the schools they evaluate with a bit more of a critical eye. Boasting high loan default rates and questionable reported student performance data, for-profit schools are significantly less regulate-able than traditional colleges. Because they are run like businesses, they function like, well, businesses. There have been numerous cases of falsified documents and misrepresented motives to prospective students at the hands of for-profiteers. Donald Trump even got into the action recently with the “Trump University” scam, promising folks they could become real estate moguls just like the man himself. Because these institutions don’t have to deal with the same level of scrutiny as traditional schools or the incentive to be completely transparent with their students, these schools often operate behind an opaque veil of expectations which they never actually have to deliver on or even pretend to provide. These components of the for-profit education industry can be both misleading and dangerous to potential students. And, for many governmental bodies, this is a major red flag in terms of oversight and regulation. You Still Get a Degree, Right? Well, yes. These schools still offer degrees. And, for some folks, that’s really all they need to know. 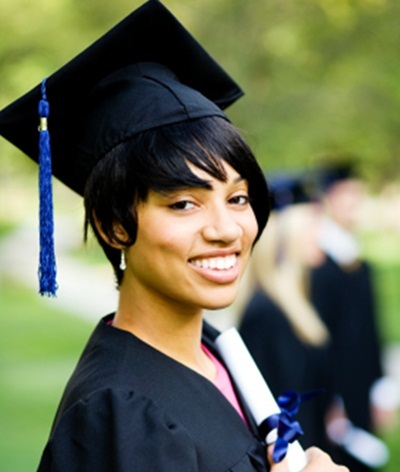 Will the degree have the same innate value as a degree from Stanford, Berkeley, or USC? Certainly not. Will it even have as much clout as a local state school? Not likely. But, the degree will have its value. In some cases, these programs help students who already have a professional career and are seeking supplemental enrichment to bolster their promotional opportunities. In other cases, for-profit schools might help one make inroads into a career that requires very specific job training as opposed to the generalized study presented at most four-year degree offering colleges and universities. And, if a prospective student goes into study eyes-wide-open, this seems perfectly okay. But, there is a flip-side here. Some folks actually don’t know the difference between the for-profit and nonprofit educational institutions they are considering attending. In addition, many of these schools target the black and Latino communities because these groups tend to receive less access to and less information regarding higher education. Therein lies the problem. This is a potential danger to the black community given that this group suffers from significant educational disparity as compared to whites and Asian Americans who also have higher college graduation rates. The black community, in particular, has faced targeted ads from for-profit schools and promises of boundless success with little recourse. Massive growth in enrollment of black students in for-profit universities has occurred alongside devastating job losses and increasing personal debt. So, the increases in enrollment haven’t necessarily panned out into long-term economic benefits for the black community. Conversely, there are some merits to be noted here. For-profit colleges often allow for greater flexibility for working professionals and parents. They are typically better equipped for a diverse student body composed of black students from lesser-than-great high schools and difficult childhoods. Online study, personalized programs, varying timelines, and flexible staff make these schools very attractive to the nontraditional student. But, it doesn’t quite seem like they are getting the bang for their buck when it comes time to get a job. Most of these schools do not have a rigorous application process. They don’t boast stellar graduation rates or super impressive job placements at Fortune 500 companies upon graduation. But, they cost significantly less than traditional four-year universities and, in most cases, allow students to keep their already established lives during study. And, for the student (black, white, or purple) whose goal is “college” – in the general sense – they do what they are supposed to do. Is that enough though? I will admit, I am one of those people who is guilty of condescending to and about “fake schools” and online programs. My deep disdain for the for-profit industry in general made it almost impossible for me to fathom that they could care at all about educating the masses. It felt like betrayal. And the late-night commercials exclaiming “Call now! You’ve got nothing better to do!” were so off-putting to me that I almost couldn’t understand how anyone would fall for that bait-and-switch move. However, in this analysis, I have found that these for-profit schools do indeed have their place and their merits. It is my opinion that one should always do the best one can with what one has. And, if a for-profit program is a stepping stone to improved life outcomes, I am all for it. 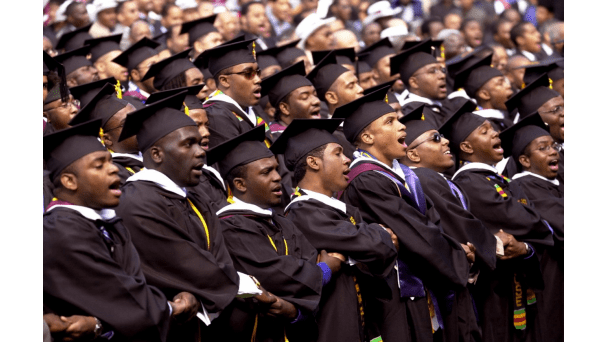 What I will say is this: prospective students, especially those in the black community, should thoroughly analyze the opportunity costs associated with ANY program – for-profit or otherwise – before enrolling. While some have hidden agendas and motives, others seem to provide quality educational opportunities to those who would not be able to attain the services otherwise. In the end, it is an individual decision. Education is no longer a “one size fits all” industry. I will step out of the Dark Ages to admit that … for now. What do you think? Are for-profits any different than nonprofits? Are four-years “better” than two-years? Is the black community harmed by for-profits or is it just the natural progression of things? Next story Why I’m Sticking With S.H.I.E.L.D. Previous story Water Cooler Convos is a Black Weblog Awards Finalist!